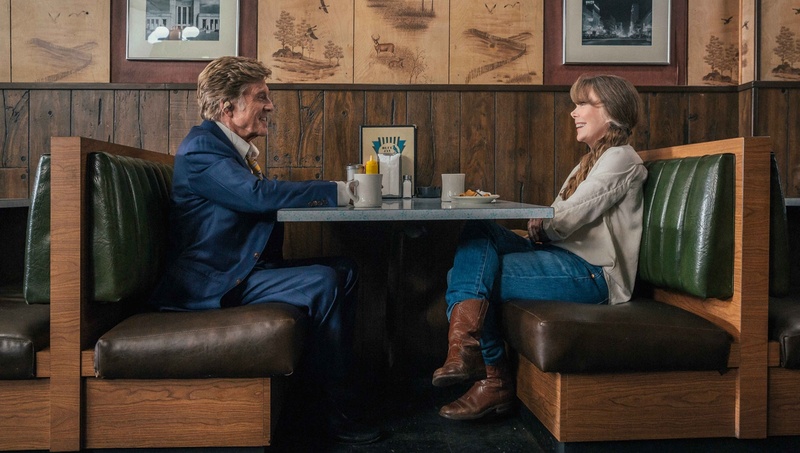 Fox Searchlight is promoting David Lowery’s latest film as the final film of Robert Redford’s long, distinguished career. Yet, the 82-year-old Redford said at the Telluride Film Festival, “never say never.” Redford who has two Oscars, one for directing and one honorary Oscar, has never won for acting. Unfortunately, this light as air dramatic comedy won’t get him their either. Lowery and Redford worked together on Disney’s Pete’s Dragon, another forgettable Lowery film. The Old Man and the Gun feels like a tribute or a love letter, as some have labeled it, to a career spanning nearly 60 years. The only thing in life that seems to make Forrest Tucker (Redford) happy, is robbing banks. He’s been a thief his entire life, escaping prison several times. His methods are simple, hitting small-town banks, always tellers with a smile on his face as he kindly asks for the money. Texas detective John Hunt (Affleck) had the unfortunate luck to be in one of the banks Tucker hits, completely unaware until the elderly robber had already left. Hunt makes it his life’s mission to stop the criminal and his associates from their bank robbing pastime. Meanwhile, Tucker finds a friend in a farmer named Jewel (Spacek) who only half believes the stories he tells her. The screenplay is a light-hearted look at old age, reminding us all that it's the simple pleasures in life that matter most at the end. The scenes with Spacek and Redford sitting on the front porch, looking into the hills, barely uttering a word are some of the most reflective moments in the movie. Running at only 89 minutes, The Old Man and the Gun doesn’t move at today’s heist drama pace, but rather at an old man pace. Tucker talks about the things he still wants to achieve, including riding a horse, to which Jewel replies, “you’d better hurry up.” The screenplay is a light-hearted look at old age, reminding us all that it’s the simple pleasures in life that matter most at the end. The two scenes of Affleck and Redford together are also among its best, one determined character in awe of another. What doesn’t work as well here is the desperate attempt to make The Old Man and the Gun look and feel like one of Redford’s earlier films. The atrocious blue screen with a yellow background for titles and vintage story explanation is simply uncalled for. Though the story is set in the 1980s it seems more like Tucker is living a town or two away from No Country For Old Men (Gene Jones making an appearance to further reinforce that notion) or where Hell or High Water might take place in the future. If you know Redford’s work, you’ll spot throwbacks, including flashbacks using scenes pulled directly from his movies. The film is too inconsequential for awards consideration, which might be why Redford has gone on the offensive saying he might yet do one more. Redford's final performance(?) is charming but agile.